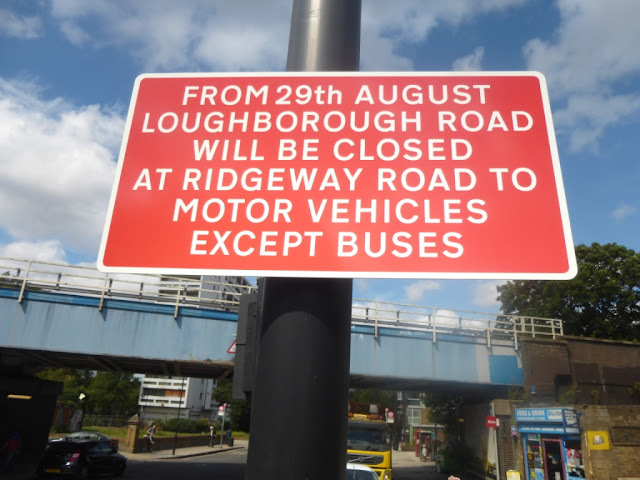 From 29 August 2015 space for cycling will be created when Loughborough Road, SW9 and surrounding streets are closed to through motor traffic. Initially the closures will take place for a six month trial period. It is hoped that at the end of the trial the closures will become permanent. The proposed closures came about following pressure from local residents concerned at the speeding through traffic along Loughborough Road and around the Myatt's Fields Park area. The plans were published by Lambeth in 2014. Following several well attended meetings at which a small group of residents expressed vocal opposition to the scheme we were able to rally the support of local cyclists and residents resulting in a positive response to the formal consultation on the scheme. Pressure from opponents led to delays in the final decision and once the Lambeth Cabinet had agreed to proceed with scheme the council's decision was 'called in' by the Scrutiny Committee for further consideration. We, along with other supporters demonstrated outside the Scrutiny Committee meeting in July and were pleased when the proposals were at last passed. Doing the major consultation with local residents after the trial scheme has gone in." 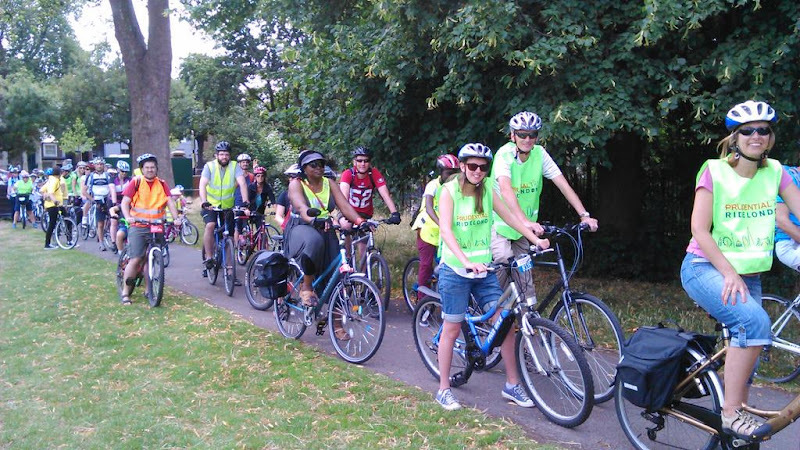 We hope that these lessons learned at Loughborough Junction will make creating space for cycling easier across Lambeth. 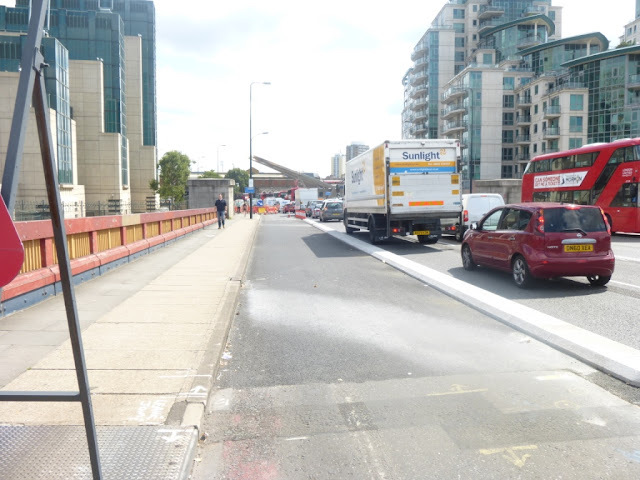 Works on Cycle Superhighway 5 which runs from Lewisham to Westminster have been continuing over the summer with construction of the section of the route around Vauxhall Bridge. Feedback from cyclists on the facilities so far installed has been positive with praise for the cycle track on Vauxhall Bridge. The works are set to be completed by the end of October. 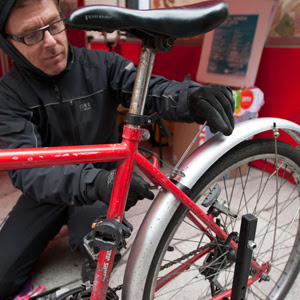 When done you will be able to cycle along a traffic-free route from Oval tube station up to and across Vauxhall Bridge. Join Cycle Confident this Sunday, 23 August 2015, for an afternoon ride around some of the London's finest chocolate makers. Gain an idea of the diversity of chocolate making that goes on in London, Smell, taste, indulge!